Aggrieved employees may make discrimination, retaliation, and harassment claims to the Federal Equal Employment Opportunity Commission (EEOC) and the Wisconsin Equal Rights Division (ERD) of the Department of Workforce Development – which process and investigate employment discrimination charges and claims filed in Wisconsin. All charges and claims must first be filed with either administrative agency before proceeding to court or an administrative hearing. The EEOC and the Labor and Industry Review Commission (LIRC), which reviews ERD Decisions, publish annual statistics. Here’s a look into the statistics for employment discrimination, harassment and retaliation claims – which provide a glimpse into into current trends and how Wisconsin fits into the national picture. Between 1992 and 2016, the EEOC processed from 72,302 (in 1992) to 99,947 (in 2011) employment discrimination charges nationwide. In 2016, the EEOC processed 91,503 charges, only the seventh most of any year over the last 25 years. The six years with the most charges fell between 2008 and 2013, with the peak occurring between 2010 and 2011. Coinciding with the increase, the U.S. unemployment rate peaked around 10 percent in late 2009 and again in early 2010, and while declining slightly, resurged the near 10 percent in 2011. It now sits just above 4 percent. In Wisconsin, workplace discrimination, harassment, and retaliation charges must be filed within 300 days to be considered timely (180 days from an adverse action is the federal deadline, which may be extended by analogous state law). A simple theory, which appears to be borne out by the numbers, is that more employees losing their jobs during the Great Recession led to an increased number of charges, presumably by discharged workers (either correctly or incorrectly) attributing their discharges to factors other than Great Recession-related downsizing and layoffs. Nicholas M. McLeod,Marquette 2008, is a partner with Alan C. Olson & Associates S.C., New Berlin, where he practices plaintiff-side employment and employee benefits litigation, and handles False Claims Act whistleblower actions. Wisconsin, with its nearly 6 million residents, housed roughly 1.8 percent of the population of the United States in 2016 according to the World Bank and U.S. Census Bureau. According to the EEOC’s statistics, Wisconsin EEOC charges (1,096) made up 1.2 percent of all charges filed in the country in 2016. Although that 33-percent differential between the state’s population and the number of charges brought in the state appears significant on its face, other variables – such as the unemployment rate and fluctuations therein, the age and socioeconomic makeup of the demographic, and the number of small businesses versus large businesses (for most causes of action under its purview, the EEOC only has jurisdiction over employers with 15 employees or more) – certainly have an impact. An apples-to-apples comparison of the population to the charge rate is therefore not a valid exercise. However, the statistics do suggest that employment discrimination in Wisconsin remains a real and present issue for employees, even as we move into the late 2010s. Looking at the 25-year data set reveals other interesting trends. For instance, in the 1990s, roughly 2 percent of EEOC discrimination charges contained a claim for religious discrimination (charges and complaints may seek to readdress more than one category of alleged discrimination). Over the last five years, the prevalence of religious discrimination claims has doubled to roughly 4 percent of charges filed per year. The EEOC statistics do not break out religious discrimination claims by religion, but it seems reasonable to theorize that fear-mongering and the spotlighting of religious fanaticism and religious terrorism in popular and news media may play a role in the doubling of the number of religious discrimination charges filed with the EEOC. Using the same theory, one might expect to find a similar increase in the number of national origin discrimination claims during the same time period. A rough amalgamation of the numbers shows an increase from approximately 9 percent to 11 percent of EEOC charges including the national origin claim during the same time period. What other types of claims and charges do the EEOC’s numbers show changing drastically over the last 25 years? Retaliation claims have nearly doubled. In the early 1990s, 15 to 20 percent of charges (which may contain more than one claim) included retaliation claims. Over the last five years that number has ballooned to 40 to 45 percent of all charges nationwide. Disability charges also increased, from roughly 20 percent between 1992 and 2008, to 30 percent from 2014 to 2016 – after exceeding 25 percent for the first time in 2010. The ADA Amendments Act (ADAAA) of 2008 (Pub. L. 110-325), signed by President Bush in 2009 may explain some of the increase. The ADAAA eased the burden on employees to prove that they have a disability protected by the law. The 2014 EEOC guidance, reinforcing the agency’s position that the ADA requires accommodation of pregnancy-related disabilities has likely resulted in an increased number of pregnancy accommodation cases also brought under and pursuant to the ADA, as well. Of the types EEOC charges filed in Wisconsin, which categories lag the national averages? Between 2011 and 2016, Wisconsin’s EEOC received roughly 25 percent fewer retaliation, national origin, and Equal Pay Act charges than would be expected based on the total number of EEOC charges filed in the State. Wisconsin’s LIRC statistics differ from EEOC charge statistics in that they take a snapshot of the employment discrimination suit at a different time: after initial adjudication by an ALJ or the Commission (LIRC) versus at intake. In Wisconsin claims processed through the ERD, the vast majority of cases have historically been dismissed, resolved, withdrawn, or settled without adjudication. Of those claims that make it through the state’s investigations and are not settled, dismissed, or withdrawn, on average, 318 cases per year have been decided by administrative law judges (ALJs) over the last 20 years. Similar to EEOC charges, ALJ decisions peaked in the middle of the Great Recession, in 2010 (400 decisions). By 2013, only 213 ALJ decisions were issued, and last year, ALJs issued 273 discrimination decisions. Of those ALJ decisions, historically, about 30 percent have been appealed to the LIRC. In 2016, there were 72 LIRC appeals from the ERD (26 percent of all ALJ decisions). So what do Wisconsin LIRC’s statistics have in common with those made available by the EEOC? They show that retaliation, far and away, is the most prevalent issue taken through Wisconsin’s agencies. Thirty-nine percent of the LIRC appeals from ERD decisions over the last five years have dealt with retaliation. 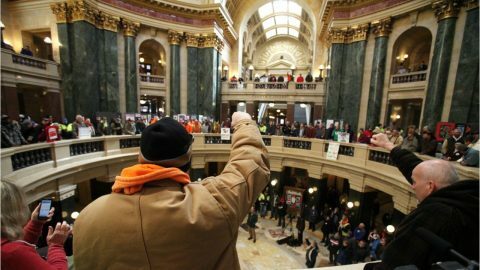 That is in line with the EEOC’s intake statistics, showing that 30 to 35 percent of initial charges in Wisconsin have involved claims of retaliation over the last five years. This statistic should not be entirely surprising, as the “retaliation” category includes all protected retaliation, encompassing retaliation based on opposing discrimination in the workplace, and retaliation for participating in discrimination claims. More surprising is that over 31 percent of appeals to LIRC and approximately 36 percent of EEOC charges are still aimed to redress racial discrimination. Of the individual categories tracked by the LIRC (other than retaliation), race discrimination remains the most prolific issue on appeal. Traditionally cyclical with the unemployment rate, discrimination charges and claims are currently down across the board in Wisconsin. Expect those rates to rise in lock step with the unemployment rate. Retaliation and religious discrimination charges have proliferated over the last 25 years. Disability charges have also increased alongside the expanded application of the ADA. And more than 50 years after Title VII, race is still the most litigated form of employment discrimination in Wisconsin and in the U.S., showing no signs of slowing down. This article was originally published on the State Bar of Wisconsin’s Labor & Employment Law Section Blog. Visit the State Bar sections or the Labor & Employment Law Section web pages to learn more about the benefits of section membership.